It's ready to pick. And, Wendy Appel's first book, InsideOut Enneagram; The Game-Changing Guide for Leaders looks set to produce a rich harvest. Although the multi-genre book spans a whopping 450 pages, it is an easy-to-read take on nine leadership personality types based on the centuries-old symbol. Chapter after chapter, InsideOut Enneagram opens ones self√É¬¢√¢‚Äö¬¨"awareness until each of us is alert to what feeds the way we each show up, as a leader in business, in community and in life. Pitched as a leadership guide book, it is also a good read as Appel bravely shares how her 20-year relationship with the Enneagram is akin to a deep love-affair. Throughout, she remains loyal to the notion that how we show up is energized from the inside. She uses numerous 'real life' case studies and examples to prove her point and make her case. With her enthusiasm embedded in every page, Appel constantly manages to sow the right dose of intelligent debate and insight as she cleverly shows off the attributes of the Enneagram in a way that is likely to tempt a hardened cynic to throw caution to the wind, and dabble. Indeed, Appel makes no excuses that she hopes the book will do its bit to help change the way leaders lead, in the new-world of work. Game-changers world over would be wise to step into Appel's orchard. 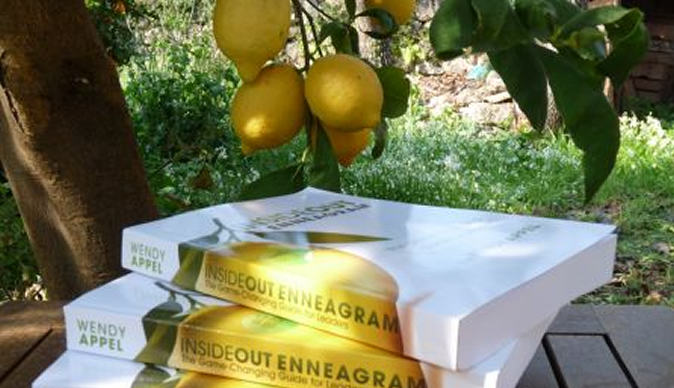 InsideOut Enneagram; The Game-changing Guide for Leaders is a brilliant first-time book! Wendy Appel is a cultural anthropologist, strategist, consultant, coach, author and public speaker specialising in organisational development, coaching and change leadership. She works alongside other senior executives as a thought partner, certified to deliver a variety of tools and programs in strategy development, MBTI, Enneagram, team development, change management, group and interpersonal dynamics, meeting design and facilitation. Wendy began studying the Enneagram in 1992, and to-date remains the focus of her professional work, evident in her book InsideOut Enneagram.